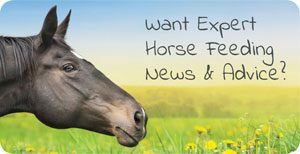 With the current heat wave that is upon us in the UK and Ireland, you might be wondering how best to keep your horse comfortable and healthy in the heat? Follow these guidelines for the best care and nutrition when the temperature rises. Water is easily the most essential nutrient in your horse’s diet and it becomes even more vital when we are experiencing hotter conditions. When temperatures rise, research has shown that water intake can increase significantly and in hotter weather horses will sweat more and lose more water which then needs to be replenished. 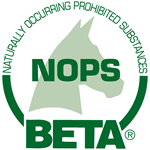 Therefore, it’s important to ensure your horse has regular daily access to plenty of fresh, clean water, which is palatable and free from contamination. 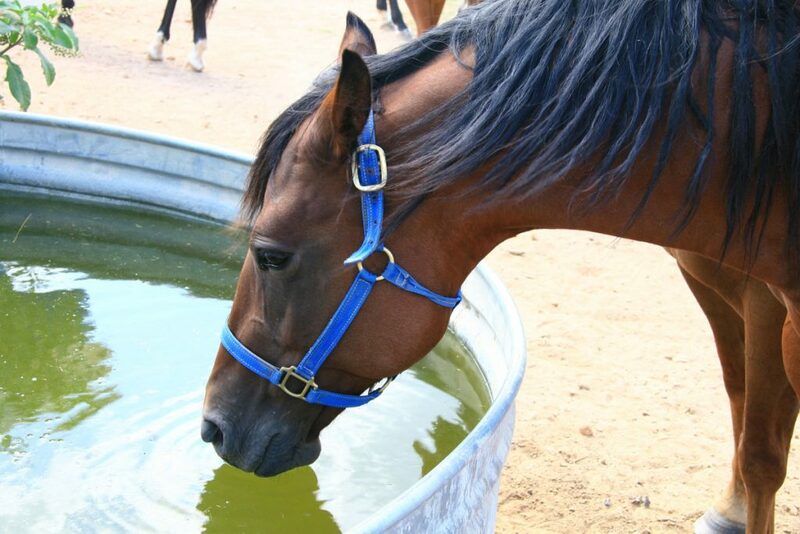 Horses tend to prefer cool water over cold even in hot weather so if your water is very cold giving it a little time to warm up a bit should encourage your horse to drink more for optimum hydration. Adding 1-2 tablespoons of salt daily to feed can help encourage drinking for good hydration, but in warmer weather this should ideally be increased to at least 3 or 4 to ensure your horse drinks plenty. When horses sweat, they lose water plus essential mineral salts or electrolytes, including sodium, potassium and chloride. Working in hotter weather will induce more sweating, but most horses with access to plenty of water, salt and good-quality forage, will be able to replace these losses. However, if your horse shows a notable increase in sweating whilst working in hotter weather or is working pretty hard, it’s worth considering additional electrolytes. Electrolytes can be offered before and after exercise and can be made using a combination of table salt and Lo-salt (at a ratio of 2:1), which will provide the key electrolytes sodium, chloride and potassium for optimum fluid balance and hydration. Find out more about electrolytes here and follow our recipe to make your own! Exercise is essential for both for you and your horse, but it’s important to be mindful of the impact hotter weather can have on your horse’s ability to work and their recovery. If you do need to exercise your horse during a heat wave, riding during the cooler parts of the day, such as early morning or evening, is the best approach. If you are lucky enough to live close to a beach where riding is permitted, taking your horse for a dip in the sea can be a great way of exercising whilst keeping your horse cool in the heat, plus the salt water will have a soothing effect on their limbs. At the end of any exercise session or summer evening hack, it’s important to have a cooling down period, and this is vital in hotter temperatures. Always allow your horse to walk gently for the last 10-15 minutes of the ride, to allow heart rate and body temperature to start to return to normal. After exercise, you can help your horse cool down much more efficiently by giving him or her a nice wash or hose down with plenty of water, with a cooling wash added if necessary. It’s also important to allow your horse drink as much as they want after exercise to replenish lost fluids and restore balance. It’s a myth that a hot horse shouldn’t be allowed to drink water after exercise, it’s much better that they regain full hydration than become dehydrated – which is a much bigger problem. Ensuring your horse has access to plenty of shade, through a field shelter or trees when the temperature rises is vital to give them the opportunity to move out of the sun when they need to, which is likely to be most of the day if it’s very hot (< 25 °C). If your horse has sensitive pink skin, make sure you are applying plenty of high factor sunscreen and consider a fly mask with extension to protect the more vulnerable muzzle area. If your horse has limited access to shade or is really struggling with the heat and large volumes of pesky flies, it’s probably best to bring them in during the hottest part of the day provided you have access to a large cool stable. Treating your horse to a nice refreshing wash down when in will also help keep him or her cool and comfortable. If you do decide to bring your horse in out of the glaring sun, then it’s important to provide plenty of forage so that he or she is not standing around all day with nothing to eat which could compromise digestive health. Grass is the best food a horse can get in hot, sunny weather as it has a high water content. So, provided your ‘ field has plenty of shade he’s probably better off being out enjoying the fresh grass with his field mates and getting some essential vitamin D from the sun! You may not be aware that forage (grass, hay or haylage) often holds a fair amount of water which gets released when broken down by microbes in the hindgut. This creates a water reservoir in the hindgut which can be drawn upon when needed, so try to ensure your horse is getting plenty of forage for good hydration. By keeping your horses cool and comfortable with the right care and feeding, you can help them stay happy and healthy throughout the heatwave. Thanks for sharing this helpful information. I’m sure most people can take notes from this article. One thing most people lack experience while caring for horse heat wave. Actually, I got a lot of information from your blog which can help to care horse heat wave. Thanks.